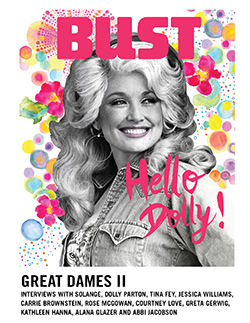 Our book reviews from BUST's August/September issue are now online! Check out our picks, including Hunger by Roxane Gay, Sour Heart by Jenny Zhang, and Little Fires Everywhere by Celeste Ng. Comedy nerds, 20th-century history buffs, and pop culture junkies, rejoice! The Girl in the Show is your jam. Author Anna Fields has compiled facts, first-person interviews, and cultural criticism to make a simple-yet-compelling argument: women are funny. That these three words could cause a whit of controversy is upsetting, and Fields sets out to challenge anyone confused on the matter. Her method, spurred by a visit to Gilda Radner’s grave, was this: “I studied every comedian who happened to be a woman from 1920 to the present.” Fields then uses these studies to further advance the idea that women’s liberation has a great deal to do with the visibility of those magical women who make us laugh. Science, culture, and sexism collide in author Angela Saini’s new book, Inferior, which picks apart the research that has been used to justify stereotypes about women. Citing centuries of studies and widely held ideas about women’s temperaments, bodies, and intelligence, Saini explores the ways in which faulty science has been used as justification for policies that have hindered women for generations. She also looks at the cultures in which scientific views of women were shaped, the erasure of women in scientific fields, and how women today are changing the way we understand what it means to be female. In the second paragraph of Hunger: A Memoir Of (My) Body, Roxane Gay warns that her memoir will defy easy categorization. This is not a story of weight loss, but neither is it a story of learning to love her body at any size. “Mine is not a success story,” she writes. “Mine is, simply, a true story.” And truth is what Gay gives us here, in her most personal and vulnerable book so far. Like she did in her brilliant first book, Female Chauvinist Pigs, author Ariel Levy continues to question the so-called rules of womanhood in her latest work. This time, she turns her journalistic eye on herself, a successful 30-something working for The New Yorker who tests the boundaries of love, marriage, and pregnancy, when she takes a work trip to Mongolia while with child, despite the sidelong looks this elicits from others. Her vivid account of what happens in her hotel room there will level readers, thanks to prose that’s specific and incisive. This collection of essays by pioneering computer programmer Ellen Ullman spans more than two decades of technology, starting with a reflection on the early days of digital communication in 1994 and ending with a critique of how this form of communication guides our interactions today. What is most engaging about this collection is that Ullman, an expert in the field, allows readers access to sometimes highly technical material, never pandering to the most obvious topics. For example, she does talk about the struggles of women in tech, but doesn’t generalize. It would be too simple, too expected, to rehash that storyline. Instead, she delves deep into subjects like the archeological process computer programmers used to relearn Cobol to prevent system failures during Y2K. With the Wonder Woman film finally premiering in 2017, this book might be the perfect find for those currently obsessed with superheroines. The collection is a fantastic introduction to comic book leading ladies, spanning from the 1930s to today. Each character gets about a page of history, maybe a strip, and, if possible, lists of where to read more about them. The novel We Were Witches reads like a lyrical memoir. Author Ariel Gore guides a fictionalized Ariel Gore through the minefields of single, young, feminist motherhood. A time defined by the authors she’s reading in college as well as by a neighbor she’s never met who screams outside her window that she’s unfit to raise a child because of the welfare checks she receives. And just as the reader begins to forget they’re enjoying a work of fiction, magical realism enters as a reminder — like when an author Gore is discovering appears on her roof, then transforms into a bird and flies away. If you’re ever at a party with author and former BUST columnist Carina Chocano, sit down next to her. In her first book of essays, the pop-culture critic tells her story of girlhood through the lens of the films and TV shows that made her realize she never actually wanted to play “the girl.” You know, the female archetype that convinces young women they must play second fiddle to the guy.